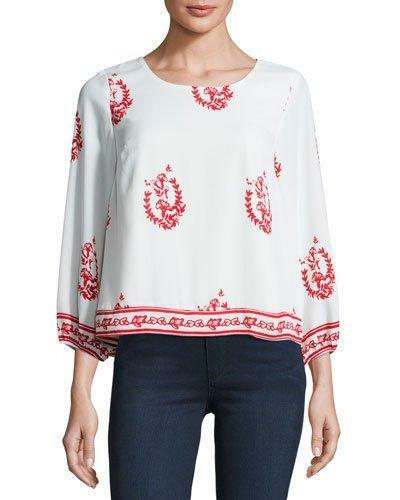 Tularosa Mandy top in floral print. Round neckline; button/keyhole back. Three-quarter sleeves; elasticized cuffs. Boxy silhouette. Straight hem. Polyester. Lining, polyester/spandex. Hand wash. Imported.